(i) Monte Carlo Fashions Ltd was launched in 1984 by Oswal Woolen Mills Ltd, the flagship company of Nahar group. The launch was a significant step in the evolution of branded garment industry in India. Since then, it has been catering to the ever-growing demands of the Clothing and Fashion industry. (ii) The products offered under brand Monte Carlo, apart from Woolen knitted garments, include T-Shirts, Shirts, Linen Shirts, Denim, Trousers, Dresses, Shorts, Tunics, Sportswear & much more for men, women and tweens (8-14 years age group). (iii) The brand has gained the ISO 9001: 2000 certifications and has been felicitated by the International Wool Secretariat with the prestigious Best Exhibited Product award. (iv) It has also emerged as the No. 1 brand in the men’s wear category in a survey conducted in the summer of 2009 by Images-ORG-MARG. (v) In 2014, Monte Carlo was honoured as one of ASIA’S BEST MARKETING BRANDS by World Consulting & Research Corporation (WCRC). (vi) The Company’s products reach the end user through different channels i.e. through Exclusive Brand Outlets, Multi Brand Outlets. 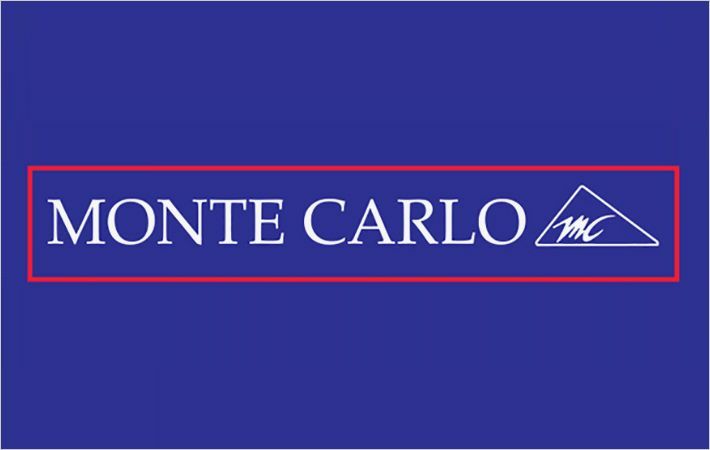 Currently, Monte Carlo is available through more than 200 Exclusive Brand Outlets & over 1300 Multi Brand Outlets. The Board of Directors of the Company (the "Board"), in their meeting held on November 30, 2018, have approved the proposal for BuyBack, by the Company, of fully paid-up equity shares of face value of 10 each ("Equity Shares"), not exceeding 1,000,000 Equity Shares (representing 4.60% of the total paid up Equity Share Capital of the Company as on March 31, 2018) at a maximum price of 550/- per share ("Maximum Buy-Back Price") for an aggregate maximum amount of up to 550,000,000 on a proportionate basis through the 'Tender Offer' route. IZ Financial Review 1. The Sales Growth in the last 3 years is quite timid at 2.18%. 2. The PAT growth in the last 3 years is also timid at 0.86%. 3. The EPS at CMP of 388 on FY18 earnings stands at 14 and Mcap/Sales stands at 1.26. So valuation looks attractive. 4. As on FY18, the company has total debt of 52 Cr against a shareholders' fund of 527 Cr. So D/E= 0.09. [ Comfortable]. 5. The Current Ratio of FY18 stands at 2.97. Anything above 2 is comfortable. 6. The company is generating Positive cash flows in the last 5 years. The total cash flow generated in the last 5 years stands at 90 Cr. 1. Firstly, to be eligible for the buyback the investor should have shares of Monte Carlo Fashions Buyback offer 2018 in demat or physical form as on the record date [ 22.02.2019 ] 2. Once you have shares in demat, you can participate in the buyback process which is opening from [ 19.03.2019 to 02.04.0219 ] by selling your shares through your broker on NSE or BSE. 3. Then on [ 10.04.2019 ], the payment will be given to you for accepted shares and unaccepted shares will be returned to your demat account. Promoter participation or not does not impact small shareholder acceptance ratio. Because 15% reservation is of total shares. Where promoter do not participate, small shareholder do not have advantage then others. So what about the remaining shares?… What if price drops so badly after buyback? In the case of Monte Carlo the no. of share holder in the retail category as on 31-12-2018 was only 33801 and on record date it is 41182 – an increase of 7381- these are new buyers for taking advantage of BB and make profit within a short time, also some holder whose value was more Than 2 lakhs sold their shares to come into the reserved category. That is the reason why Eligibility ratio was also low. All those who bought to take advantage of BB also tendered their Shares for BB. Hence overwhelming response leading to low Acceptance ratio. So there is dividend coming up for Monte Carlo? 11 out of 100 accepted in the Buy Back offer of Monte Carlo. |2| out of |18|MONTE CARLO FASHIONS LIMITED. shares have been accepted in the Buy-Back offer. Tomorrow is the last date for settlement of BB and payment for accepted quantity etc. Is there any news on acceptance ratio. Unlike Karvy, Link intime does not give any website information regarding acceptance etc. Very poor Registrar and Manager of BuyBack. After analysing the EOD position as on 1st April, I think the acceptance ratio for reserved category could be between 10-12% only. If you dont mind can you please tell us where can we find the subscription information? Two more days to go for closing of offer period. The acceptance for Reserved Category may be between 40 and 50 %. Let us wait and see. subscription in retail category is almost 7-8x then how acceptance will it be 40-50%? How did you arrive at 7-8x times? You can’t take all individual investors as small holders. I have given the acceptance ratio for small holders (Reserved category). Where we can get subscription status of Monte Carlo Fashions Buy Back? Got the information from the link provided by you at the right end for Monte Carlo Fashions. Thank you. This information is for total Individual shares tendered there is no seperate data for reserved category and hence should not be used for comparing with reserved qty. For IOC dividend march 2019, would I be eligible if I buy it’s shares today? why there is no data of subscription ratio today ? buyback started right ? Total Tendered (individual ) is 1355808. If we consider 20% of this as Small Holders , it will be 271162 against 150000 Reserved quantity. still after moving after scroll bar to right,i am unable to see. After seeing entitlement ratio feeling cheated…………. SEBI please help……………. So what will be the acceptance ratio? If buyback offer size is 10.56 % then how come both retail and general ratio is less than that ? 10 out of 153 for Retail Investors. 8 out of 183 for General Category. It may be bear trap. Mind it!! Hold tightly and do not sell any share. If BB approved by SEBI it will shoot up to level of 2700 rs . Buy back approved by sebi? Is the buyback is not approved? Why it’s price is dropping so drastically? AR may be only 10 to 15%. So do not tender unnecessarily more share. Because you could not sell it on time after buyback as there is more chance to come down it’s share price heavily. Down 6% at the opening. Today is Ex-date. So all are selling. But during NMDC Buyback i sold my shares on 17th Jan. The record date for NMDC Buyback was 18th Jan. I didn’t got any mail from NMDC regarding the buyback. I contacted zerodha regarding this, they told that you should not sell your shares till the record date. Even if you would have sold on 18th Jan. you would not have been eligible for buyback. Kindly guide me for this. Please note, To become eligible shareholders in the buyback offer the shares must be available in your dmat account as on the record date, since you have sold the shares on 17th Jan, it got debited on the next day (T+1 day) i.e.18th Jan which was a record date. Technically you should be eligible, because if you sell shares on Ex.date ( which mostly all big investors do) , then it should be debited after T+2 days i.e. after Record date. But in Zerodha maybe they are removing your shares from demat account very next day of selling and making you ineligible for buyback which is technically not correct. In zerodha if you sell shares then they move it to zerodha pool on t+1. The shares from pool get debited on t+2. Hence as of record date shares will be in zerodha pool account which is not a retail account. And zerodha will not apply for buyback for you. @Market Wizard Please elaborate what is Ex-Date and why is everyone selling on the ex-date? What should a smart investor do? Ex-Date is one day prior to Record Date. If you sell on Ex-date you will still able to tender your shares in the buyback. Let us suppose you have 100 Shares in your demat account as on Record Date. Now till record date, nobody knows the exact number of Entitlement or Acceptance ratio. What smart investors do, they sell before the Record date and then wait for the announcement of Entitlement ratio(Minimum number of shares that will be accepted 100%) by the company. Once it is announced, they again buy that much from the market and tender the shares in the buyback. But tomorrow will it continue it’s up move or fall? Have any idea? As tomorrow is ex buyback date. I told price may reach up to near 400rs today. Not able to understand why the price is not moving? This stock is expected to rise at least Rs 400 before ex buyback record date. One thing we observe that even after announcement of buyback issue, this stock is not still moving up at all. I think most of the investors want to avoid to take participation in this issue. If that so, should we expect acceptance ratio will be on higher side. Can i buy at this level only for buyback? In terms of the Buy-Back Regulations, under the tender offer route, the Promoter of the Company has an option to participate in the Buy-Back. However, Promoter and/or the Promoter Group vide letter dated November 28, 2018, have expressed their intention about their non-participation in the Buy-Back. what is news source of promoter no participating ? Based on your statement, I have a question. If promoter is not going to participate in Buyback, the Buyback number of shares (10Lakhs) will not change for sure. Will it be useful for Retailer Quota? any increase in AR for Retailers…? I hope, there won’t be any benefit to the retailers. It is beneficial to the general category. Yes there is no benefit to retailers. I think, it will be beneficial for retail investors. Will promoters participate in buyback? If I did not participate in e-voting, can I still participate in buyback? Yes. You can participate. No issue. 1. The Revenue has Increased by 17% YoY. e-Voting process is end by end of 07th Feb 2019. What is the procedure of e-voting? Wait or exit from monte carlo? E-voting is in process, that has to complete first, record date next, after that with in (around) 45 days time they should announce the dates for buyback. Exit or continue is upto you. Very difficult to suggest. Many buyback tenders end up with losses for retailers. How to participate in this Buyback?? e-voting will start from 9th Jan 2019 9AM onwords, ends on 7th Feb. I just e-voted in supporting the buyback. Monte Carlo issued Notice for postal ballot and electronic voting Feb 07 is last date for e voting. Any news on Record Date?? Where at Zerodha? Not able to find. Kindly suggest, I also use Zerodha. Please Check-in Q Zerodha. I have just Confirmed from Zerodha Call Center. Also please suggest difference in Buy back and Open offer for the share holder or selling person. In OFS the existing shareholders sells his/her shares to other people generally at discount to the market price. However, in the buyback, the company takes back shares from existing shareholders and Extinguish the shares. In IDBI Bank OFS, the LIC is basically acquiring stakes and they are buying close to 204 Cr shares at Rs.61.23 from existing shareholders. The LIC is paying in cash close to 12602Cr. Any idea of open offer? How can I sell in IDBI Open offer (by LIC)?? Zerodha gives the facility on its platform to apply for OFS. If I buy stocks prior than the record date is even listed out, would I be eligible to participate in buyback? Surprise to me as well. If entitlement ratio already expected 7%, who will want to burn fingers. Those entering into this will burn finger like MPHASIS. BHEL BUYBACK OPEN ON 13/12/2018 to 27/12/2018. When you will receive the Actual letter the entitlement could be much less because during 90 or 100 days leading to buyback alot more number of shares are going to change hands. and i think company calculates the retails investors as per their shareholding taking Face price as price and not CMP, while for buyback purposes CMP is considered and therefore the entitlement ratio would be much better. The Number of shares between 0 to 1000 is close to 14 lakh. So if we consider this number as total number of shares under Retail Investors quota on the Record date , the Entitlement Ratio could be 15%. What I feel is this can be a good trading bet. However, a lot of action on the political front is waiting in coming days so be careful. The Nifty also has a dream run from the levels of 10200 to 10900. Somewhere down the lines, it will cool off. So trade accordingly. Record of Monte carlo to reward its investor is not good. However, this could be a good trading bet. Take 5-7% gain and exit. Don’t wait for buyback. what is difference between entitlement ratio and acceptence ratio?? Entitlement ratio gives us the exact number of eligible shareholders for buyback which is there in the company’s book on the Record date. This is announced in the letter of offer. Acceptance Ratio: This is the final ratio depending upon the no. of shareholders tendered their shares in the buyback. It is announced after completion of the buyback. Huh.. Potential Upside of more than 40% from CMP of 388. Yesterday, RAJASTHAN GLOBAL SECURITIES PVT LTD BUY 1,11,837 at Rs. 373.73 . Now today buyback price announced at 550. These funds houses may be knowing in advance the price of the buyback. yeah fund house hai sir. Usko mat dekho.